Our regional populations are based on reference datasets representing 45 populations. When selecting these 45 reference populations, we attempted to make the population or geographic region represented by each dataset as small as possible. We experimented with different groupings of country-level populations to find combinations that we could distinguish between. There are some populations that are inherently difficult to tell apart, typically because the people in those regions mixed throughout history or have a shared history, or we might not have had enough data to tell them apart. As we obtain more data, populations will become easier to distinguish, and we will be able to report on more populations in the Ancestry Composition report. The 45 Ancestry Composition regional populations are organized in a hierarchy, which reflects the genetic structure of global populations. For example, British & Irish is a part of Northwestern European, which is part of European. In April 2018, we added over 115 new recent ancestor locations which reflect specific countries where your ancestors likely lived during the last 200 years. These recent ancestor locations are noted in each of the regional populations below. You can learn more about recent ancestor locations here. Go to your Ancestry Composition report. Northwestern Europeans are represented by people from as far west as Ireland, as far north as Norway, as far east as Finland, and as far south as France. These countries rim the North and Baltic Seas, and have been connected throughout much of history by those waters. Descended from Celtic, Saxon, and Viking ancestors, the people of Great Britain and Ireland have left their genetic fingerprints around the world, following centuries of nautical exploration, colonization, and immigration. The modern British Commonwealth is composed of 52 member states found on every continent except Antarctica, and the English language is a lingua franca for global economic exchange. The British & Irish reference dataset includes people from Ireland or the United Kingdom (which includes Scotland). At this time, this dataset cannot be broken down further because the people in those regions mixed throughout history or have shared history, or we might not have had enough data to tell them apart. As we obtain more data, populations will become easier to distinguish, and we will be able to report on more populations in the Ancestry Composition report. "French and German" people descend from ancient Alpine-Celtic and Germanic populations, and inhabit an area extending from the Netherlands to Austria — roughly corresponding to the extent of Charlemagne's Frankish Kingdom in the Middle Ages. Estimates place Charlemagne himself in the family trees of all modern Europeans, possibly many times over. Genetically and geographically, the French and Germans are at the heart of Europe. This dataset includes people of Austrian, French, German, Belgian, Dutch, or Swiss ancestry. At this time, this dataset cannot be broken down further because the people in those regions mixed throughout history or have shared history, or we might not have had enough data to tell them apart. As we obtain more data, populations will become easier to distinguish, and we will be able to report on more populations in the Ancestry Composition report. No population-specific regions are available. Scandinavians — represented by the people of Norway, Sweden, Denmark, and Iceland — owe much of their linguistic and genetic heritage to North Germanic tribes who established settlements around the North Sea during the late Middle Ages. Many Scandinavians, like the Sámi people in the far north, are descendants of indigenous Scandinavian hunter-gatherers. In the United States, Scandinavian ancestry is most common in North Dakota. This dataset includes people of Danish, Norwegian, or Swedish ancestry. At this time, this dataset cannot be broken down further because the people in those regions mixed throughout history or have shared history, or we might not have had enough data to tell them apart. As we obtain more data, populations will become easier to distinguish, and we will be able to report on more populations in the Ancestry Composition report. Finland was peopled by multiple waves of colonization, including a migration of early Uralic peoples from Eastern Europe or western Siberia. Modern Finns are genetically and linguistically distinct from their Nordic and Slavic neighbors, despite centuries of Swedish and then Russian rule. Today, there are up to seven million ethnic Finns worldwide, with over 600,000 living in the United States, concentrated in Minnesota and northwestern Michigan. Genetically distinct populations, like the Finns, have their own reference population in Ancestry Composition. Sometimes a piece of DNA matches a regional population but cannot be assigned to a more specific population. In such a case, we assign the DNA "broadly" to that regional population rather than a specific one. Eastern Europe was heavily influenced by Imperial Russia between the eighteenth and twentieth centuries, but a common genetic heritage dates back to an earlier Slavic expansion from the area of present-day Ukraine. After the collapse of the Soviet Union in 1991, millions of Eastern Europeans migrated west in search of economic opportunity. In America, Eastern European ancestry is most common in the Midwest. The Eastern European dataset includes people of Belarusian, Czech, Hungarian, Polish, Russian, Slovak, Slovene, or Ukrainian ancestry. At this time, this dataset cannot be broken down further because the people in those regions mixed throughout history or have shared history, or we might not have had enough data to tell them apart. As we obtain more data, populations will become easier to distinguish, and we will be able to report on more populations in the Ancestry Composition report. Southern Europe, including the Iberian, Italian, and Balkan peninsulas as well as the island of Malta, is a region defined in great part by the Mediterranean Sea. The Mediterranean has provided transportation routes, keeping these regions connected. The Balkan Peninsula is nestled in the southeastern corner of Europe and serves as the geographic and genetic crossroads between Europe and western Asia. Despite broad cultural and religious diversity, the people of the Balkans are genetically similar to one another, descending from early Mediterranean and Slavic peoples. Island Greeks lack this ancestral Slavic influence and are similar to southern Italians. This dataset includes people of Albanian, Bosnian and Herzegovinian, Bulgarian, Croatian, Greek, Macedonian, Maltese, Montenegrin, Romanian, or Serbian ancestry. At this time, this dataset cannot be broken down further because the people in those regions mixed throughout history or have shared history, or we might not have had enough data to tell them apart. As we obtain more data, populations will become easier to distinguish, and we will be able to report on more populations in the Ancestry Composition report. Bisected from north to south by the Apennine mountains, the famously boot-shaped Italian peninsula has been home to modern humans for over 30,000 years. In the early Middle Ages, Germanic invaders brought about the fall of the western Roman empire, and a northern European genetic signature persists in modern Italians to this day. This influence is strongest in the north, while southern Italians share a rich genetic legacy with Greece. This dataset includes people of Italian, Northern Italian, or Tuscan ancestry. At this time, this dataset cannot be broken down further because the people in those regions mixed throughout history or have shared history, or we might not have had enough data to tell them apart. As we obtain more data, populations will become easier to distinguish, and we will be able to report on more populations in the Ancestry Composition report. Sardinians are outliers in the genetic landscape of Europe, thanks to the geographic isolation of their rugged island home off of mainland Italy. Over the centuries, Sardinians resisted assimilation by occupying forces and have managed to preserve a few unique traditions, including “Cantu a Tenòre,” a haunting style of overtone singing practiced to this day. Genetically distinct populations, like the Sardinians, have their own reference population in Ancestry Composition. The genetic landscape of the Iberian Peninsula — represented today by the people of Spain and Portugal — was influenced by several Mediterranean civilizations, including 800 years of Arabic North African rule. Now, a small North African genetic signature is present in Iberian DNA, and over eight percent of Spanish words carry Arabic origins. Conquistadors from Portugal and Spain colonized parts of Africa, Oceania, and the Americas, and Iberian DNA is now relatively common in Latino peoples from Central and South America. This dataset includes people of France Basque, Portuguese, or Spanish ancestry. At this time, this dataset cannot be broken down further because the people in those regions mixed throughout history or have shared history, or we might not have had enough data to tell them apart. As we obtain more data, populations will become easier to distinguish, and we will be able to report on more populations in the Ancestry Composition report. Ashkenazi Jews settled in Central and Eastern Europe in the late Middle Ages, but their modern descendants remain genetically more similar to other Jewish populations than to their European neighbors, reflecting shared western Asian origins. In the twentieth century, many Ashkenazi Jews immigrated to Israel or to the Americas in search of greater cultural and religious acceptance. Today, over five million ethnic Ashkenazi Jews live in the US. Although not a country or region, they have their own reference population in Ancestry Composition because Ashkenazi Jews are so genetically distinct. Much of Europe was buried under miles of ice ten thousand years ago. As the glaciers receded over millennia, Neolithic farmers from western Asia joined Paleolithic hunter-gatherers to settle Europe. Extending from Afghanistan in the northwest to Bangladesh in the east, South Asia was peopled over 50,000 years ago by the first wave of modern humans to leave Africa. Today, India alone is home to four major language families and nearly one-fifth of the world’s population. Modern Indians descend from both ancient western Asian immigrants and an indigenous Dravidian population. This dataset includes people of Afghan, Balochi, Bangladeshi, Brahui, Burusho, Hazara, Indian, Kalash, Makrani, Nepalese, Pakistani, Pathan, Sindhi, Sri Lankan, or Uygur ancestry. At this time, this dataset cannot be broken down further because the people in those regions mixed throughout history or have shared history, or we might not have had enough data to tell them apart. As we obtain more data, populations will become easier to distinguish, and we will be able to report on more populations in the Ancestry Composition report. Dispersed across three continents, the peoples of Northern Asia and the Americas have deeply-rooted genetic similarities, reflecting a history of widespread and rapid migrations across the vast central Asian plains, Siberia, and eventually into the Americas across the Bering land bridge. Subtle linguistic affinities reveal ancient links between some Native American languages and languages still spoken in Siberia. Broadly Northern Asian & Native American DNA is a relic of this ancient population split, and is difficult to assign to a specific region. Many ethnolinguistic groups call the northern reaches of Asia home. Among them are the Yukaghir, the Nganasan, and the Turkic-speaking Yakuts, who migrated North and East from southern Siberia between 700-900 years ago to escape encroaching Mongol raiders. Today, the Yakuts are a large ethnic minority in northeastern Siberia and share genetic similarities with other indigenous groups in the region including the Evenks, Evens, and Buryats. Indigenous Siberians are often well adapted to climate extremes, as they face some of the largest annual temperature fluctuations in the world. The Manchurian and Mongolian population includes ethnolinguistic minorities like the Daur — who speak a language related to Mongolian — and the Oroqen, who speak a Tungusic language and live near the Amur River basin. These groups reside at the juncture of the Central Asian plains, boreal forests, and the Gobi Desert. Linguistically distinct but genetically similar, Mongolian and Manchurian peoples generally practice shamanism and Tibetan Buddhism. The first humans to reach the New World populated much of North, Central, and South America within just a few thousand years following their arrival from northeast Asia around 15,000 years ago. Despite drastic population losses over the past 500 years as a result of exposure to Old World diseases and genocide at the hands of European colonizers, the genetic legacy of these early American trailblazers persists to this day, primarily in Central and South America. Dispersed across three continents, the peoples of Northern Asia and the Americas have deeply-rooted genetic similarities, reflecting a history of widespread and rapid migrations across the vast central Asian plains, Siberia, and eventually into the Americas across the Bering land bridge. Subtle linguistic affinities reveal ancient links between some Native American languages and languages still spoken in Siberia. Broadly Northern Asian & Native American DNA is a relic of this ancient population split, and is difficult to assign to a specific region. From the expansive plains of central Asia to the islands of eastern Indonesia, the people of China and Southeast Asia share genetic similarities dating back to the arrival of humans in the region over 40,000 years ago. Broadly Chinese & Southeast Asian DNA – likely driven in part by the spread of agriculture within the last few thousand years – matches several specific populations and is difficult to assign to just one. Present-day Vietnam was the cradle of one of the world’s earliest civilizations, and one of the world’s first regions to develop rice-based agriculture. A tropical country on the Indochinese Peninsula, Vietnam is bordered by China to the north and by Laos and Cambodia to the west. The country has 54 ethnic groups, the largest being the Kinh, who make up more than 85% of the population. Many indigenous Filipinos, including the Aeta, Batak, and Mamanwa peoples, are likely descended from one of the earliest dispersals of modern humans out of Africa. However, most Filipinos can trace their ancestry to a much more recent and widespread migration of Southeast Asian seafarers related to the indigenous people of Taiwan. Today, this genetic signature – called “Austronesian” (meaning “southern island”) – is common across the islands of the Pacific, from the Philippine Sea to Hawaii, and can be found as far away as Madagascar. From Myanmar to Indonesia, the people of Southeast Asia are genetically diverse, reflecting the legacies of several migrations beginning over 40,000 years ago. More recently, the region has been heavily influenced by Hindu, Buddhist, and Islamic cultures. Before its fall in the fifteenth century, the Khmer empire – encompassing modern-day Thailand, Laos, and Cambodia – was the largest land empire in the region’s history. China is home to one of the world's earliest and most enduring civilizations, with over 50 officially-recognized ethnic groups. The Han ethnic group makes up 92% of the country's population, and includes nearly one-fifth of all humans in the world. Over 50 million ethnic Chinese live outside of China, with over 20 million in Thailand, Malaysia, and the United States alone. The Dai people of southern China belong to the larger Tai ethnolinguistic group that currently lives in parts of China, Burma, Laos, Vietnam, and Thailand. In China, the Dai are one of over 50 officially recognized ethnic minority groups, and are united by unique cultural traditions anchored in Dai Folk Religion or Buddhism. Most Chinese Dai live in southern and western Yunnan Province, and are genetically more similar to their Vietnamese neighbors than they are to the Han Chinese. From the expansive plains of central Asia to the islands of eastern Indonesia, the people of China and Southeast Asia share genetic similarities dating back to the arrival of humans in the region over 40,000 years ago. Broadly Chinese & Southeast Asian DNA – likely driven in part by the spread of agriculture within the last few thousand years – matches several specific populations and is difficult to assign to just one. The people of Japan and the Korean Peninsula share a genetic heritage that dates back to the first arrival of Stone Age hunter-gatherers from Siberia, and to later migrations of Iron Age rice farmers from the south. Broadly Japanese & Korean DNA is a remnant of this ancient population history and is difficult to assign to Korean or Japanese ancestry alone. More recently, the region has been shaped by a rich history of artistic, literary, architectural, and scientific exchange. The Japanese Archipelago, composed of a whopping 6,852 islands, was colonized by multiple waves of immigrants beginning as early as 30,000 BCE. Modern Japanese people can trace most of their ancestry to the Stone Age Jōmon and late Stone Age Yayoi cultures. Yayoi DNA is concentrated in the center of Japan, and the more ancient Jōmon ancestry persists to the north and south among the culturally distinctive Ainu and Ryukyuan peoples. The Korean peninsula was first inhabited by hunter-gatherers who were genetically similar to Stone Age peoples living near the Amur River in eastern Russia. These early Koreans were later joined by Bronze-Age rice farmers from southern China or Vietnam. By the tenth century, Korea was politically and culturally unified and remained so until the establishment of a communist north and a democratic south after the Second World War. Although North and South Koreans are politically divided, they remain genetically similar to one another. The people of Japan and the Korean Peninsula share a genetic heritage that dates back to the first arrival of Stone Age hunter-gatherers from Siberia, and to later migrations of Iron Age rice farmers from the south. Broadly Japanese & Korean DNA is a remnant of this ancient population history and is difficult to assign to Korean or Japanese ancestry alone. More recently, the region has been shaped by a rich history of artistic, literary, architectural, and scientific exchange. The peoples of East Asia and the Americas have a shared genetic history. Their common ancestors left western Asia over 50,000 years ago, migrating east across the continent. The ancestors of Native Americans began to cross into the Americas 12,000 to 15,000 years ago. Sometimes a piece of DNA matches a regional population but cannot be assigned to a more specific population. In such a case we assign the DNA "broadly" to that regional population rather than a specific one. Broadly East Asian & Native American DNA is a relic of this ancient population split, and reflects shared roots in central and northern Asia. Extending from Senegal to Cameroon, western Africa is home to nearly 380 million people. For over a millennium before European colonization, western Africans were united under a series of powerful empires, resulting in broad similarities in music, clothing, art, and cuisine. Today, many African-Americans are descendants of enslaved western Africans who were transported to North America between the sixteenth and nineteenth centuries. Broadly West African DNA may match several populations, making it difficult to assign to just one. The people of Senegal, The Gambia, Guinea, and Guinea-Bissau share many traditions related to the history of powerful empires in the region. In The Gambia, the Mandinka are the largest group, with historical roots along the Niger River basin, while the Wolof form the majority in neighboring Senegal. In Guinea and Guinea-Bissau the Fulani predominate, and may have subtle genetic links to North Africa or Western Asia. Today, around 20% of African American ancestry is from this region. A continuum of genetic diversity stretches from Senegal to Nigeria, but the people of the coastal countries above the Gulf of Guinea — Sierra Leone, Liberia, Côte d’Ivoire, and Ghana — share a genetic similarity distinct from neighboring regions. The Temne, who constitute the largest group in Sierra Leone, call this region home, as do the Mende, who reside across West Africa. In neighboring Côte d’Ivoire and Ghana, the Akan peoples predominate. Nigeria’s population is the largest in Africa and one of the most diverse, with over 250 ethnic groups. The country's arid north is home to people of mostly Hausa and Fulani descent, while the Yoruba are concentrated in the southwest, the Ijaw in the tropical south, and the Igbo in the southeast. As much as two thirds of African-Americans' Sub-Saharan DNA may trace back to Nigerian ancestors, due to the disproportionate impact of the Atlantic slave trade on the people of the region. For over a millennium before European colonization and the Atlantic slave trade, West Africans were united under a series of powerful empires, resulting in broad similarities in music, clothing, art, and cuisine. A gradient of genetic similarity extending from Senegal to Nigeria reflects a richly complex population history in a region home to over 350 million people who form hundreds of distinct ethnic groups. Broadly West African DNA may match several populations, making it difficult to assign to just one. Northeast Africa, which here spans from Sudan in the northwest to Ethiopia and Somalia in the southeast, is home to both Afro-Asiatic and Nilo-Saharan ethnolinguistic groups. The entire region has a rich history of genetic and cultural exchange between indigenous East Africans and immigrants from the Arabian Peninsula. As a result of both ancient and recent migrations within the region, broadly Northeast African DNA may be difficult to assign to a specific location. As a result of both ancient and recent migrations within the region, broadly Northeast African DNA may be difficult to assign to a specific location. Sudan and South Sudan share a distinct genetic heritage dating to early agricultural civilizations, including the Nubian Kingdoms of Kush and Meroë that once flourished along the banks of the upper Nile. Today, the people of Sudan and South Sudan are ethnically diverse, following a long history of intermarriage between indigenous East Africans and migrants from the Arabian peninsula. However, this Arabian genetic legacy is less common in the south of the region. Despite recent conflict, Eritreans and Ethiopians were united under the powerful Kingdom of Aksum for almost 1,000 years until its collapse in 940 CE, and their DNA reflects that shared history. The region has also served as a crossroads between Africa and the Arabian Peninsula for tens of thousands of years. Today, most Ethiopians and Eritreans have both East African and Arabian ancestry and speak Afro-Asiatic languages, including Oromo, Tigrinya, Arabic, and Amharic. While modern humans have lived in East Africa for over 200,000 years, ethnic Somalis living in Somalia, Eastern Ethiopia and Kenya trace much of their genetic heritage and social structure to 9th century migrations from the Arabian Peninsula. Almost all ethnic Somalis belong to one of five major patrilineal clans and this clan structure is integral to the cultural and political fabric of Somali society. Many Somalis immigrated to North America, Europe, or Western Asia in response to civil war in the twilight of the 20th century. “Bantu” is a term widely used to describe the largest of Africa’s ethnolinguistic families, with Iron Age roots near present-day Nigeria and Cameroon. Around 3,000 years ago, Bantu speakers carried their mastery of metallurgy and agriculture across Africa in two major streams – one southward and one eastward – resulting in Bantu ancestry that transcends geopolitical borders. Likely as a result of these rapid and widespread expansions, some Bantu DNA is difficult to assign confidently to a specific location within Sub-Saharan Africa. Likely as a result of these rapid and widespread expansions, some Bantu DNA is difficult to assign confidently to a specific location within Sub-Saharan Africa. Beginning around 3,000 years ago, speakers of Bantu languages migrated south from the highlands of Nigeria and Cameroon through the dense African rainforests and along the lush central African coast. Much later, Bantu-speaking peoples in the western Congo region established the historical Kingdom of Kongo, which flourished for over 500 years until its collapse at the hands of colonial powers in 1914. Today, Bantu-speaking peoples (such as the Kongo, Teke, Mbochi, and Sangha) are significant majorities in the countries bordering the Congo River. Speakers of Bantu languages carried their mastery of metallurgy and agriculture out of West Africa in two major streams beginning over 3,000 years ago. The historical center of the Eastern Bantu migration lies in the African Great Lakes region — a part of the Great Rift Valley in southern East Africa that runs along the Western edge of Kenya and Tanzania. Today, the largest ethnic groups in Burundi, Kenya, Rwanda, Tanzania, and Uganda are Bantu speaking. “Bantu” is a term widely used to describe the largest of Africa’s ethnolinguistic families, with Iron Age roots near present-day Nigeria and Cameroon. Around 3,000 years ago, Bantu speakers carried their mastery of metallurgy and agriculture across Africa in two major streams – one southward and one eastward – resulting in Bantu ancestry that transcends geopolitical borders. Likely as a result of these rapid and widespread expansions, some Bantu DNA is difficult to assign confidently to a specific location within Sub-Saharan Africa. African hunter-gatherer populations — including the Pygmy and San peoples of central and southern Africa — represent some of the oldest and most genetically distinct branches in the human family tree. The historically semi-nomadic San peoples of the Kalahari and the closely-related Khoe pastoralists in Namibia, Botswana and South Africa, speak indigenous languages characterized by click consonants rarely found in other language families. Pygmy peoples of the central African rainforests, on the other hand, have lost their distinct linguistic heritage, but have preserved many unique cultural traditions. This dataset includes people of Biaka Pygmies, Mbuti Pygmies, or San descent. At this time, this dataset cannot be broken down further because the people in those regions mixed throughout history or have shared history, or we might not have had enough data to tell them apart. As we obtain more data, populations will become easier to distinguish, and we will be able to report on more populations in the Ancestry Composition report. The genetic diversity of Sub-Saharan Africa reflects both the deep history of humans in the region and the recent migrations that have carried the diversity of western Africa to both southern and eastern Africa. Domestication of grains and livestock emerged 11,000 years ago in western Asia, sparking the agricultural revolution that spread to parts of Europe, Africa, and the rest of Asia. From the Caucasus to Iran, western Asia is an important crossroads in the human migration out of Africa, and the genetics of this region reflect that role. A western Asian genetic signature also appears in North Africa and southern Europe. This dataset includes peoples of Armenian, Azerbaijani, Cypriot, Georgian, Druze, Iranian, Iraqi, Lebanese, Turkish, or Syrian descent. At this time, this dataset cannot be broken down further because the people in those regions mixed throughout history or have shared history, or we might not have had enough data to tell them apart. As we obtain more data, populations will become easier to distinguish, and we will be able to report on more populations in the Ancestry Composition report. Although early humans lived north of the Sahara as early as 300,000 years ago, the recent ancestors of North Africans were more closely related to some non-African populations. This relationship reflects an intricate history of migrations into present-day Morocco, Algeria, Tunisia, Libya, and Egypt from the Arabian Peninsula. An older North African genetic legacy peaks in Berbers of the Maghreb and in the indigenous people of the Canary Islands. This dataset includes people of Algerian, Bahrani, Bedouin, Egyptian, Jordanian, Kuwaiti, Moroccan, Mozabite, Palestinian, Saudi Arabian, Tunisian, Emirati, and Yemeni descent. We experimented with different groupings of populations to find combinations that we could distinguish with high confidence. As we obtain more data, populations will become easier to distinguish, and we will be able to report on more populations in the Ancestry Composition report. The peoples of Western Asia and North Africa have not only genetic but also deep linguistic connections with one another. Melanesia was first peopled by seafaring voyagers over 45,000 years ago, when the ancestors of indigenous Australian and Papuan peoples reached Near Oceania from Indonesia. These early Melanesians interbred with a now-extinct hominin species – the Denisovans – and their descendants harbor traces of this ancient encounter in their DNA. We are confident in the accuracy of your results and the science behind them. 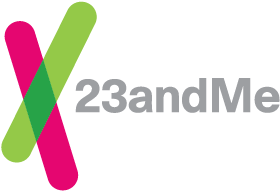 But 23andMe is a genetic testing service, which means we can only show you what is found in your DNA. If your Native American heritage cannot be seen through your DNA, that doesn't mean that your understanding of your family heritage as passed down through the generations is incorrect, only that your genetic heritage does not reveal Native American ancestry. If your most recent Native American ancestor was more than five generations ago, you may have inherited little or no DNA directly from your Native American ancestors. The farther back in your history you look, the less likely you are to have inherited DNA directly from every single one of your ancestors. This means that you can be directly descended from a Native American without having any Native American DNA. Your Native American ancestry may be assigned to the Broadly East Asian & Native American population. Even using state-of-the-art science, the Native American and East Asian populations are genetically similar, and sometimes they can't be distinguished from each other with high confidence. Some genetic populations are especially difficult to tell apart because they share common history. Ancestry Composition populations are defined by genetically similar groups of people, not by the political borders of countries. The time scale reflected by Ancestry Composition may be different from the time scale of your records. There are currently 115 Recent Ancestor Locations in the Ancestry Composition report. These regions provide information about the places where your ancestors may have lived during the last 200 years. Learn more about your Recent Ancestor Locations. To learn more, visit our Understanding Your Ancestry Composition Results article.